I cannot say, however, that I felt that the club made a commitment to me—at least not at first. I kept running into trouble because my travel schedule precluded me from always attending the weekly meetings. Attendance was another requirement for club membership, and I kept failing to meet that requirement. Finally, after a year when my travel schedule meant I had missed over half of the club’s meetings, I was asked whether or not I truly wanted to be a member. I had to make a choice. Did I support all the causes—both financially and with my time—or did my causes no longer match the causes of Rotary? God asks the same question. We are invited to join His church by people who are already members. We are also introduced to the causes that matter to God and to the organization that we have joined. God’s cause is the salvation of the human race and the spreading of the gospel (Matthew 28:18-20). The Seventh-day Adventist church supports that cause through various activities and outreach and asks for gifts of our finances and time to support these goals. Sometimes, we may not feel like the church particularly supports us, and sometimes, we find it difficult to meet the expectations of the organization of which we are members. But despite how we feel, the requirements of commitment to the cause that we have joined still remain. 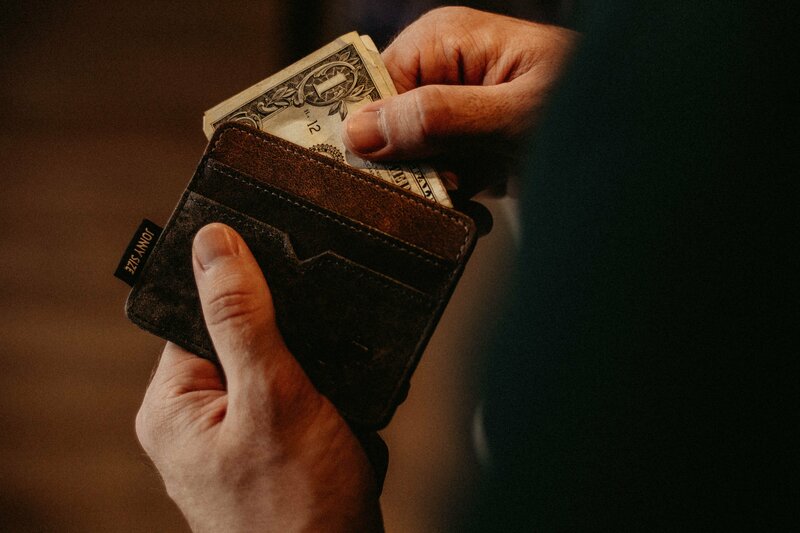 Is the primary purpose of tithing to provide money for the church activities, or is the primary purpose of tithing an act of worship which recognizes our relationship with God and our interest in His causes around the world? Are these mutually exclusive? If one’s tithe is given to the “storehouse” as defined by the church, is one relieved of their responsibilities if the “storehouse” does not do its job? Can one opt for a “storehouse” of one's own choosing? Finally, if one gives money to the church, what happens to the financial gifts placed in the “storehouse”? Let’s look at the last question first. In the organizational structure of the Seventh-day Adventist church, the foundational building block is the local church. Local churches are organized into a local conference; local conferences are organized into unions; unions are organized into divisions, which then make up the General Conference. Offerings, initially collected in the local church, are kept for local use if so specified by the donor. Tithe, also collected at the local level, is sent in total to the local conference. The local conference retains about 64% of the tithe and uses it to pay pastors and support evangelism and education in the local territory. The rest of the tithe is sent on to the Union (9%), the NAD/GC (16%), or to fund retirement and health care (11%). Much of the 16% remitted to the North American Division is sent back to the conferences through appropriations for education, evangelism, and auditing. At the Union level, the funds received are used for union-wide activities of evangelism and education. The Union sends 10% on to the Division where the monies are spent for programs that cover the entire Division: media outreach, support for the Seminary, internship programs, and evangelism. But what if you opt to send your tithe to a “storehouse” of your choice, such as a special project that you have heard about, or perhaps have a personal connection with? How does the change in where the tithe is paid affect the church at large? Or does it? If a large percentage of the donors choose to send their tithe to special projects, the current programs of the church would certainly suffer because the total funds available would be split between church programs and the special projects the donor selects. The church operates on a stream of funding—not on a build-up of funds. I suspect that God planned it that way because if the church was independently wealthy because of past endowments, we who live today would easily assume that our funds were not needed and cease to give. The soul that ceases to give dries up, just as water that ceases to flow becomes a pool that ultimately dries up. It appears that God has chosen to keep the church at large humble and dependent on the continual good gifts of its members to accomplish His work. He does this even though it is quite clear in Scripture that He owns everything and what we give only returns what God has already given to us. But what if we still give but not through the channels of the church? Then those programs which “catch the ear or the eye” will prosper while other programs that we do not know about will die. Even-handedness and fairness are created when funds given to a central location are distributed with input from large groups of people from all over the world. Some programs are small or located in areas of the world where there is insufficient funding to even inform others in richer countries of the need. In some places, the numbers of members are so small that to even pay for a pastor is impossible, given the size of the churches. Someone from the outside must support that congregation, but if no one “outside” that congregation knows of the congregation’s need, how can it be supported? There is also the impact that “being together” can make—an impact larger than one made by an individual or even a small group. For example, Rotary has taken on the task of eradicating polio around the world. Alone, or even with all the funding of my local Rotary Club, tackling a task this large would be impossible. But together, with all the clubs around the world giving to a central pot, we see polio on the decline. It is now limited to a relatively few cases in the DRC, Syria, and Pakistan. That could not have happened without tackling the project together—not separately. Finally, there is this question: How do you know if the project you individually choose to fund is really needed—or just has an extremely effective promoter? How will the ongoing needs be met, especially if the promoter moves on or tells you the project is “finished”? For example, if you build a school because the promoter told you it was needed, how does the continuing need for teachers, books, supplies, and upkeep get covered, once the building is finished? For special projects, the supporting structure for sustainability may be missing. Under the church structure, the ongoing needs are part of the concern of a large group of people—not just a few. But what if the “storehouse” doesn’t do its job? Am I then relieved of my responsibilities? My worship? Apparently not. In Luke 21, Jesus commended the widow who gave of her two mites to the temple. Certainly, Jesus understood that the temple storehouse was far from perfect. In Matthew 21, Jesus threw the moneychangers out of the temple because they made the “house of prayer” a “den of thieves.” Jesus clearly understood what was going on in the temple storehouse and condemned it. But He still commended the widow for her faithful support of the temple and God’s cause. The widow did not ask “What’s in it for me?” Rather, her gift was a sign of her relationship to God, her gratefulness to God for all He had done. God had given her life; in gratefulness, she gave back to Him. Does the church at large make mistakes in its funding? Yes. Do individuals make mistakes in spending their resources? Yes. Do we have a choice in where we want to place our funds? Yes. God always gives choices. He has done so since the Garden of Eden, and He will do so until the end of time. The question, however, remains: What’s our cause? Does it match God’s cause? *The author expresses appreciation to Tom Evans, Treasurer of the NAD; Mike Jamieson, Undertreasurer of the NAD; and Juan Prestol, Treasurer of the GC for their assistance by providing the cited specific information. Ann Gibson is the Assistant to the General Conference Treasurer for Treasurer Training and Emerita Professor of Accounting at Andrews University.